Let us help you put your mind at ease as we debunk some of the most common kickboxing myths! Back On Track Boot Camp-Transformation Challenge! A transformation program everyone is talking about! We're excited to share our new toys with you! Hey everyone! Just thought we would throw up a few more pictures from the past week of the reno. We worked really hard to get the painting done, the equipment put together and the turf down. This place is really coming together! Come on in and join us for a workout! Big day for us here at Conker Fitness! The big red wall came down AND we had our equipment delivered! This is the equivalent for Christmas Day! Hey everyone! Our gym expansion/renovations are FINALLY under way! We never thought the time would come, considering we have been trying to do this for 2 years!! I Know, I know, your thinking- I'll believe it when I see it! Well lucky for you we've attached some pictures! Take a look! 2. Repaint the entire facility, including the expansion part. 5. Building a consultation room and members lounge. Please bare with us while we undergo this transformation. We are very excited, and hope you are too! One food group that always comes into question is dairy. The main argument we hear from our clients at Conker Fitness, is milk (especially) comes from an animal, therefore it should be considered favorable. The other main argument is, if I don't drink milk, how will I get my daily calcium? Lets take a look at some of the key points to understand why it is important to avoid dairy and we will suggest some alternatives for you. The first big reason to avoid milk, and perhaps the most well known reason, is simply due to intolerance's. Lactose intolerance means, the lactose enzyme is inefficient or not present. This leads to the lactose being transported to the large intestine and colon which leads to gas, bloating and diarrhea. Several people don't even realize they have an intolerance until they cut it out from the diet and notice a difference in how they feel and perform. Milk can also weaken the immune system, making you more susceptible to illness, and can also impact your recovery from your workouts. Another reason to avoid milk is the sugar levels. The sugar in milk is also referred to as lactose. Although the sugar is natural, it is sugar nonetheless. If weight loss or fat loss are your objective, we recommend getting your calories through more nutrient dense foods. Lactose and casins are also problematic when the undigested particles cross through our intestine into our bloodstream our body treats it like a foreign invader, and sends out an immune response. This response causes inflammation. It has also been discovered that milk has 59 active hormones, 52 antibiotic residues and scores of allergens and contaminants such as puss from diseased udders. YUK! Some healthier milk alternatives are coconut milk and almond milk. Both these alternatives are dense in nutrients and rich in healthy fats which help to boost your energy level. Lets discuss the calcium concern. Did you know that 100 calories of turnip greens have over 3 times the amount of calcium as 100 calories of whole cows milk? Crazy! By the time milk actually gets into the bag or the carton, our bodies can't consume any of the calcium due to the heavy pasteurizing process the milk has gone through. Enough said! Let’s spend a brief minute exploring the “other” category that eats away at our bank accounts, giving us another excuse why we can’t afford to eat healthy. A simple question to ask yourself is, do you own your stuff? Or does your stuff own you? In this day and age we spend so much time (and money) buying the latest and the greatest without questioning the price tag. We have all fallen victim to wanting nice things, but the question remains; would you give it up for a healthier life? Simply put, if you are broke, don’t go shopping at Whole Foods with your Gucci handbag or flashy suit. If eating clean is important, you will find a way to make it happen! Can you believe this?! This was taken at our friend's gym in Guelph. 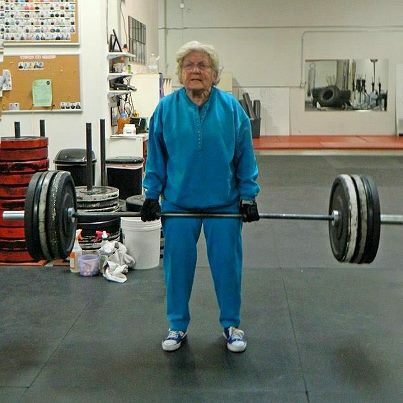 So really, what's your excuse? !